I think we all understand how excited, yet naïve, many of our clients can be, even in today’s HGTV world. We are amazed quite often about how easy they think the process of building or remodeling will be. We’ve put together some thoughts and are sharing some of our experiences and what we have learned over the years from our clients. Our responsibility as designers, contractors, and builders is to help our clients to “know what they don’t know”. We try to address every possible issue, scenario, and design feature, but we have all heard, at one time or another, a client bemoaning a mistake or an unresolved issue. 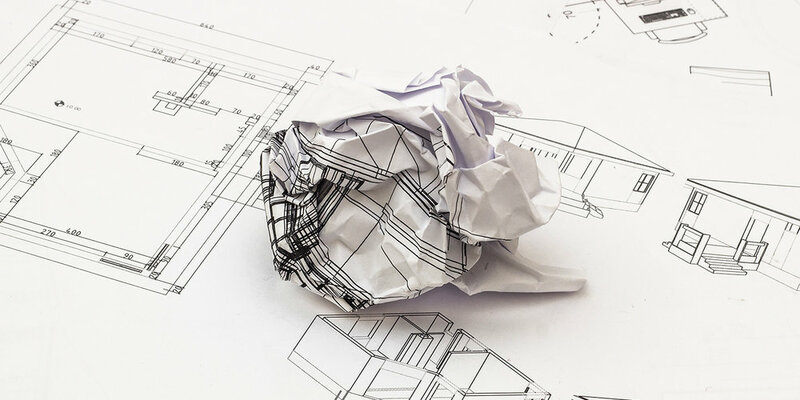 We’ve spent years honing our craft and wanted to share some of the mistakes we’ve seen clients make, we’ve made, and contractors and builders have made that ultimately shouldn’t occur. We can’t take the blame for all of these mistakes, as sometimes the client is dead set on this or that, and nothing we say will change that. But the client is whom we are working for, so it behooves us to pay attention to these mistakes clients wish they hadn’t made or had been savvier in their understanding when going through the building process. Us being aware of these possible issues or design changes helps us be better craftsmen – and isn’t that what we’re all after? Mistakes are bound to happen, we are human. But open communication between all parties will alleviate miscommunication. The number one complaint we get that can be easily avoided is establishing clear communication expectations from the start of the project. Don’t assume your clients are online and/or want texts—be sure to ask! Draw pictures, take photos, call when there are any issues, and communicate as often as you can. We recently completed a home for a client who has no interest in using email or texts which is challenging for our younger associates who don’t know how else to communicate. Nothing is worse than a door that opens the wrong direction. We have to do our due diligence when designing and building. Talking with the clients and “walking into each room on paper” and again as framing occurs can help solve this. Mistakes also are made with doors opening into other doors, windows, or cabinets. We’ve even seen electrical outlets and switches behind doors! Good design dictates that doors open and function without interfering with furniture placement and traffic patterns in the home. Most clients now want an open concept, but with this comes issues if there aren’t defined beginnings and endings to the rooms, even though they are open. If ceilings or soffits create weird angles or trim work can’t meet, then it just looks like the workmanship in unrefined or unskilled. This is where good design is paramount and all possibilities are discussed. From furniture layout to helping educate your client about the pitfalls of a completely “open” layout is paramount to long-term happiness in their home. Making a mistake and creating a large bedroom but not a large enough closet has many clients wishing for more. A master closet should be about 7 feet wide and have rods on each side and not at the end. Rods that meet up do not allow for easy access for clothing. The depth should run 4-5 feet. Many of your clients are coming from smaller homes and on paper, a master closet might look larger than it will in reality. Asking your clients their storage and closet needs we find can make a project go from good to great. We’ve had clients wish that outlets had been installed and storage closets were larger. A vacuum that charges should have a place to be stored and not be in the corner of a room where there happens to be an outlet. Is the client a home cook that needs a larger than normal pantry? How much shelving is needed in each storage area? Don’t forget about one in the home office. More storage will never be a mistake, but not having enough storage is a common complaint. The placement of the kitchen in the back of the house looks good until you try to get there from the garage with an armful of groceries. The staircase should be easily accessed from all points of the home. Is there a central path that won’t be interfered with by furniture? Are hallways wide enough and bright enough? Having clear conversations and understanding your clients’ lifestyles will help in the design process. Before framing, mark off the rooms and walk through the home with clients. Talk about what they see and feel in the flow. HGTV has taught our clients to desire natural light and put an increased emphasis on lighting. Nothing brings down a room (unless it’s a media room) more than not having enough light. This applies to bathrooms, hallways, and interior rooms. Create light wherever you can, naturally with windows that fit the space and scope of the room. If windows aren’t a possibility in certain rooms, make sure there is adequate overhead light and outlets available near furniture. We’ve heard time and time again that some of the best decisions made were ones by adding windows and lights into plans. It is something that often gets overlooked. It’s easy to replace lighting, furniture, paint and wallpaper, but it isn’t as easy to replace heating and cooling systems, flooring (especially the color and style), cabinets, ceiling heights and insulation. Your clients might think they can invest less in these, but try to help them understand that some features shouldn’t be skimped on. Complaints come time and time again when we don’t plan for the long-term because the costs to renovate continue to climb. Taking the time to talk through design choices with clients is critical. Your clients might not think of all of the places to put cabling, faucets, switches and outlets, so talk about it with them. Have them visualize both the interior and exterior needs of their design. If the plan is to add a patio versus a deck, thinking through the location of all outlets and faucets are critical. Ideas to suggest include; outlets under windows, above a mantel, by the stair railings, near the front door, double outlets in bathrooms, where automatic vacuums will be, beside beds, in pantries for small appliances, the side of the kitchen island, and charging stations. A garage and the space it provides is vitally important to our clients, but one that dwarfs the front elevation of a house is a common mistake a client might regret. It is advantageous to use detailed garage doors, change the elevation to make it less prominent, use screening or walls for L-shaped plans, or move it to the side to avoid a client’s distress. One design choice that always creates curb appeal is the front facing garage door. Everyone has to prioritize and make cuts to a budget, whether it’s due to unforeseen circumstances, changes to the design in other rooms, and more. But in our experience, the number one client complaint is wishing they hadn’t made some of the cuts that they made. Prioritize, prioritize, and reprioritize using the whole process to keep this issue to a minimum. We can’t just add on to the existing home when doing a renovation without making sure the flow of the home still works and that it looks like it was meant to be that way the whole time. Nothing is worse than looking at a remodel and knowing it was a remodel. It should appear seamless and appropriate! A client may come to us and ask us to create a plan for a larger family room or to open up a wall between the kitchen and dining room. Our first question to them is to understand what the end goal is. Are they planning on doing something to another room down the road? What plumbing, electrical and design issues do we need to think about now in order to make future renovation plans work? Many of our clients want to stay in their existing home and remodel it over time. This same thought can be utilized in a new build with someone who plans to age in place in the home. What can be done now that will positively affect future living? We’d love to hear your thoughts about this list. What else should be added or discussed in order to help us all create the best designs and experiences for our clients? We know that each client is different and will have different design challenges. 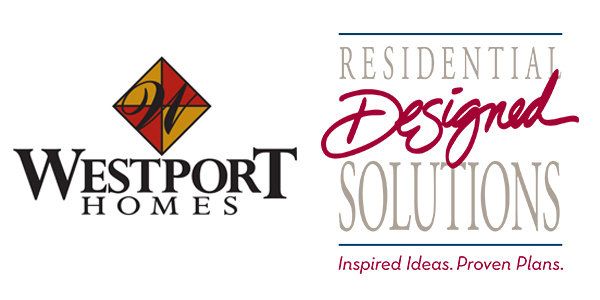 Here at RDS, we strive to create the best, most innovative, and functional plans and designs for our clients. How can we help you with your clients’ visions? Contact us to see what we have to offer. Jim's Tip - Who Comes First, Builder or Designer? The point that I want to convey is that it really doesn’t matter who comes first if both the builder and their designer are working closely together. The resulting home will be one that the clients are thrilled to own at a cost they are comfortable with. Contact RDS to see how seamlessly we can become part of your team. Ever have a challenge you can’t refuse? Our client wanted to develop a family retreat and as we began the design process, he came to us with an unusual challenge: to find a way to use two repurposed timber framed barns in the designs. Of course, we were excited about this request! The smaller of the two timber frames is the cabin, which actually offered more challenges. The horizontal beams fell into some of the head room of the spaces, so we removed some and worked around the others that we were able to keep. The larger structure will be the main shared living space. It is built around a very unique gambrel roofed timber frame, which you don’t often see in Ohio. The frame becomes the core of the building and then “tractor shed” additions are added to the sides. One side becomes a bedroom suite, and the opposite is a screened porch, large enough to accommodate all the family at the same time. The photos of the barn as it was being dismantled show the age and complexity we were working with. Both timber frames were located and will be erected by Doug Morgan of Mount Vernon Barn Company, whose vision is to save and repurpose one hundred year old barns. I think they are well on their way! Rendering credit goes to Derrick Davis of Davis Rogers Interiors.